The AAR recently reiterated the principles of an earlier ruling in British Gas Ltd [AAR/725/2006] on taxability of salaries received in India by Non-Resident Indians. In Hewlett Packard [AAR 1217 of 2011, Jan 2018], the issue before the Authority was whether salary paid in India to Indian employees deputed abroad for services to a foreign company, was chargeable to tax in India; and whether in the year of their return to India, the Indian employer could grant credit of taxes paid abroad in computing the withholding tax u/s 192 of the Income Tax Act. The facts of the case briefly are that the employees of the Indian company were deputed to group companies in USA / Germany and over time they acquired status as Tax Residents of US / Germany owing to their presence in the said countries. The employees were paid salaries in India besides certain allowances that were paid abroad by the foreign companies. The employees did their work exclusively in US / Germany and no part of the employment was exercised in India, their salaries being paid out of India. Finally, by virtue of their residential status in US/Germany, the entire world-wide income including salaries paid by the Indian employer was taxed in US / Germany. The main question before the Authority was whether the payments made by the Indian company was also taxable in India and withholding tax was to be applied.
. 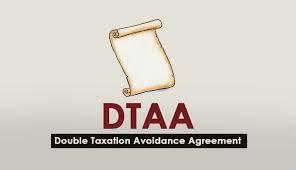 Since Sec 5 dealing with scope of Total Income is subject to the other provisions of the Act, Sec 90 dealing with Double Tax Avoidance Agreements has to be taken into account. In terms of Article 15/16 of DTAA, where remuneration is received by a resident of a contracting state, such remuneration shall be taxable only in the State where the employment is exercised ( which may also be where the employee is resident). The State of Residence – and not the State where employment is exercised -- acquires the right to tax only in limited circumstance including when the employee spends less than 183 days in the State where the employment is exercised. In the instant case, the Authority found that both employees had acquired a status of tax resident of US/Germany owing to the duration of their presence. It was noted that the employment was also exercised in the said States of residence. The exceptions under limited circumstances were not relevant as the State of residence and State of exercise of employment were identical. Applying Article 15/16, the Authority found that salary paid in India for exercise of employment in US/Germany, is not taxable in India. Consequently, the Authority also ruled that there was no requirement to withhold taxes on income that was no taxable in India provided it was satisfied that the amounts were taxed in the relevant countries. On another note, the Authority ruled that in the year of return when the employees turn out to be residents of both US/Germany (till their departure) as well as India, Sec 192(2) allows the employer to grant credit of taxes paid in US/Germany in computing the withholding tax on payments made after return to India. 1. The entering into of an employment-agreement in India does not lead to an inference that the employment is always exercised in India. 2. Employer-employee relationship in India does not mean that employment is exercised in India. 3. Salary accrues where services are rendered and the source of payment is irrelevant. 4. As per paragraph 1 of the OECD commentary to Article 15, the place where the employee is physically present when performing the activities for which the employment income is paid is relevant for ascertaining where the employment is exercised. Some references have been made and support drawn from the Bombay High Court judgement in Avtar Singh Wardhwan  247 ITR 260 and Karnataka High Court judgement in DIT (Intl Taxation) v Prahlad Vijendra Rao [ITA 838/2009]as well as that of the Calcutta High Court in Utanka Roy v DIT (Intl Taxation)  390 ITR 109. The first two judgements deal with situations where payments were received by the employee outside India during the course of exercise of employment aboard a ship outside Indian waters. The only contention was whether the income should be deemed to accrue or arise in India – for various reasons as place of execution of employment agreement, provisions of Merchant Shipping Act etc - which were put down by the Courts invoking Sec 9(1)(ii) which provided that Salary is earned in India only when it is rendered in India and in so far as the services were not rendered in India, the income cannot be deemed to accrue or arise in India. Conspicuously, both cases did not involve payment of salary in India. Both cases also did not involve application of DTAA and were decided purely with reference to domestic law, in particular explanation to Sec 9(1)((ii). The Calcutta High Court judgement was in pursuance of a writ petition to set aside the revisionary order u/s 264 as it did not grant appropriate relief in a case where it was admitted the assessee earned the income from services rendered outside India for 286 days. Thus, none of the above cases really addressed the moot question if payments received in India in respect of employment exercised outside India was taxable in India. In the circumstances, the Authority’s own ruling in British Gas India Private Limited [ AAR 725 OF 2016] explaining the overarching nature of Article 15/16 carried the day for the applicant. “1.......salaries, wages and such other remuneration derived by a resident of a Contracting State in respect of an employment shall be taxable in the other Contracting State only if the employment is exercised there.